This is part of the Good Cook Bloggers program and I received the item featured as a product review. As a Good Cook Kitchen Expert I have the wonderful opportunity to show my readers how to cook wonderful food at home, saving money and time. I was not compensated for this review however sometimes we are rewarded with gift cards when the company feels our work is above average. All opinions are our own and what is featured are products we recommend to our readers. We love Good Cook products and truly think you will to. Oh my gosh…Carrot cake …YUM! We used the remainder of our carrots from this seasons garden produce. 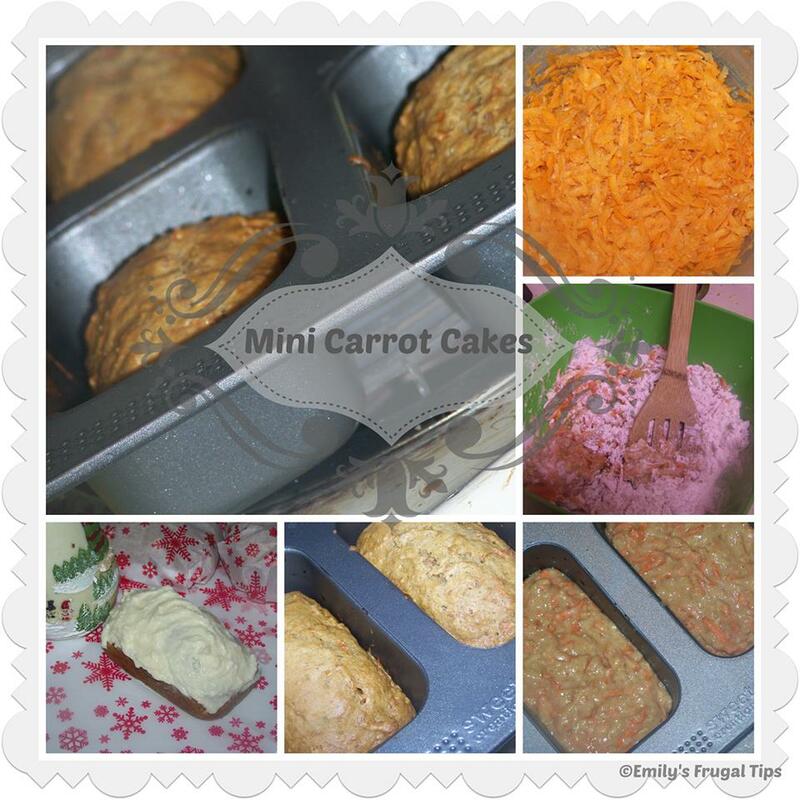 These carrots are a sweeter variety so this cake uses a little less sugar then normally called for. In any event I think you are going to LOVE this cake recipe! First about the pan. It’s a Good Cook Mini Loaf Pan and I have been in heaven since receiving this pan! I can’t tell you enough how much I really love this loaf pan. First its truly non stick, meaning you don’t need to line it [ I recommend you do just to keep it in good condition] and your loaves will plop right out! No struggle, cutting around the edges or forcing them out, they will literally fall right out. We also received a package of winter holiday parchment paper in a Christmas type theme. 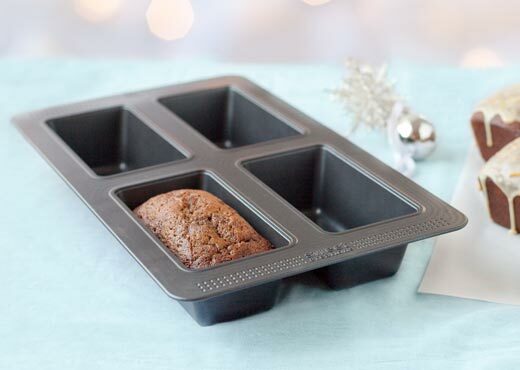 You can also get 25% off this loaf pan at the Good Cook website. The pan is on sale right now for $8.83. Use PROMO code SWEETLOAF for an additional 25% off! For cream cheese frosting take 1 8 oz box of cream cheese and 1 cup powdered sugar, 1/2 tsp vanilla and a pinch of cinnamon or nutmeg. Mix well and taste to ensure its sweet enough for you. Mix all dry ingredients together. Add in honey and carrots. Mix well and then add in egg and milk. Use an ice cream scooper to fill mini loaf pan. Bake on 350 for 25 minutes or until golden brown and toothpick comes out clean.